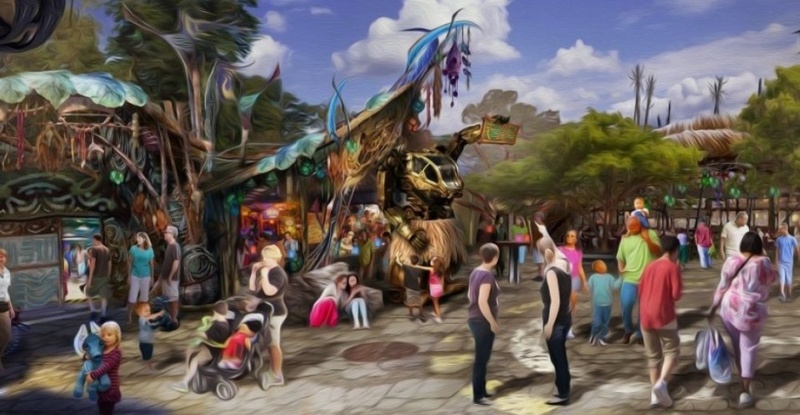 We’ve seen the food, now we’re taking a look at some of the otherworldly specialty drinks and brews of Pandora—The World of Avatar, opening next month at Disney’s Animal Kingdom! Whether you’re sitting down for a meal at Satu’li Canteen, or just stopping by the walk-up window of Pongu Pongu, Pandora has mixed drinks, beers, and even wines that are out of this world! And don’t worry, there’s even some non-alcoholic ones for the kids too! First up, to go along with your “pods” (bao buns) and bowls at Satu’li Canteen, there’s the Pandoran Sunrise. This is a non-alcoholic mix of tropical Juices blended with Powerade Melon, and can be purchased with or without a souvenir Satu’li Canteen Flute Flask. You can fancy up your meal with a glass of Banshee wine, a small Napa Valley winery with a serendipitous name. 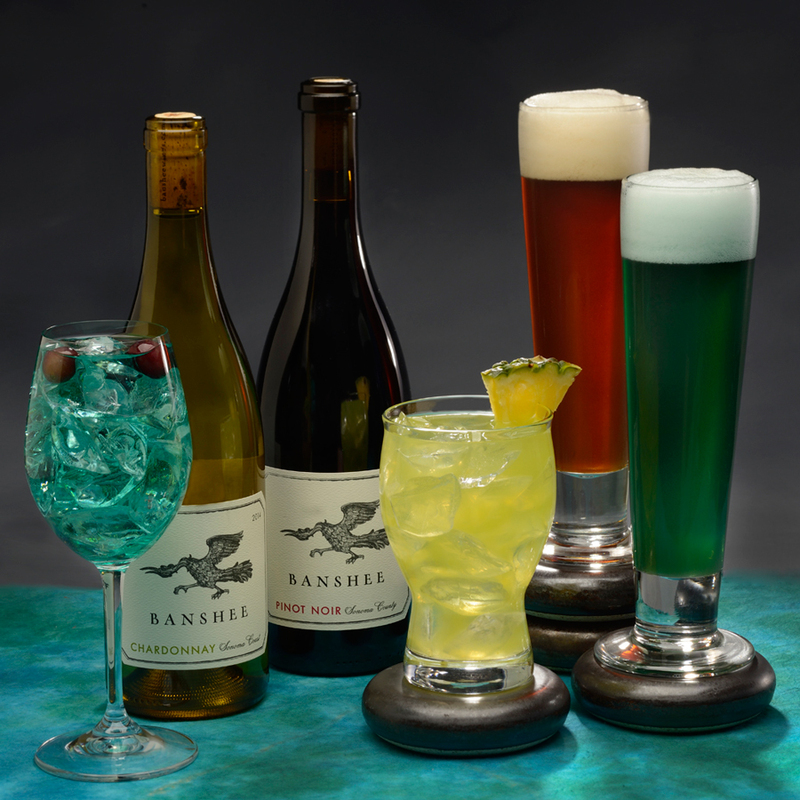 A Banshee Chardonnay and Banshee Pinot Noir are on the menu by the glass. And there’s a refreshing Dreamwalker Sangria with a splash Blue Curaçao. Two ales round out the beverage menu: Hawkes’ Grog Ale with a fruity hop character (a taste of apricot and peach, a hint of wheat on the finish), and Mo’ara High Country Ale, a malty amber ale with the aroma of herbal spice hops and tastes of caramel, toffee, and nuts. 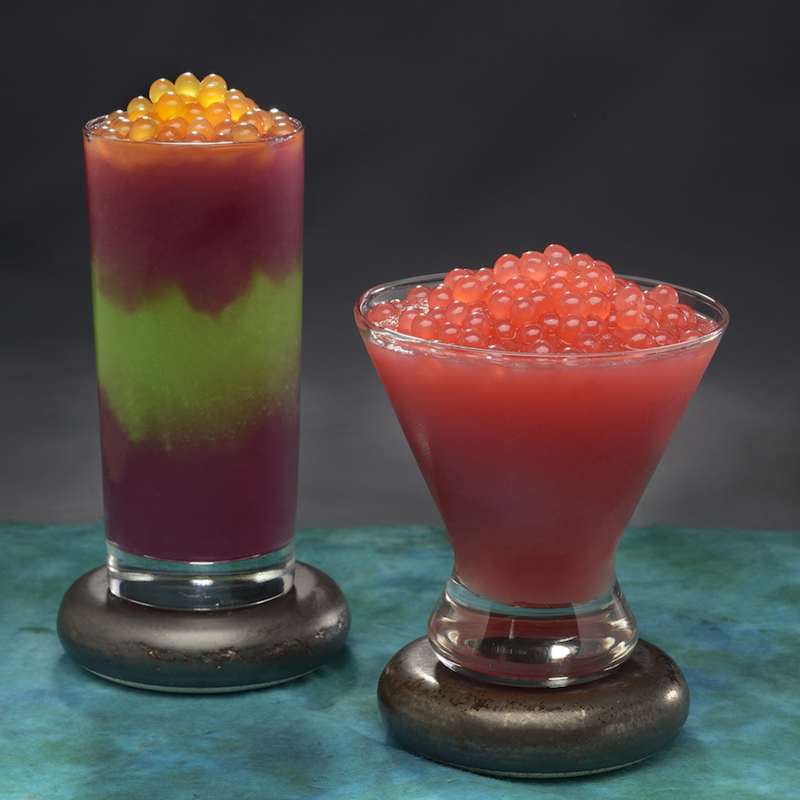 Next door at Pongu Pongu, the Night Blossom frozen drink is a non-alcoholic mixture of limeade with apple and desert pear flavors topped with passion fruit boba balls (you can get in a souvenir Pongu Pongu mug with a glow cube). 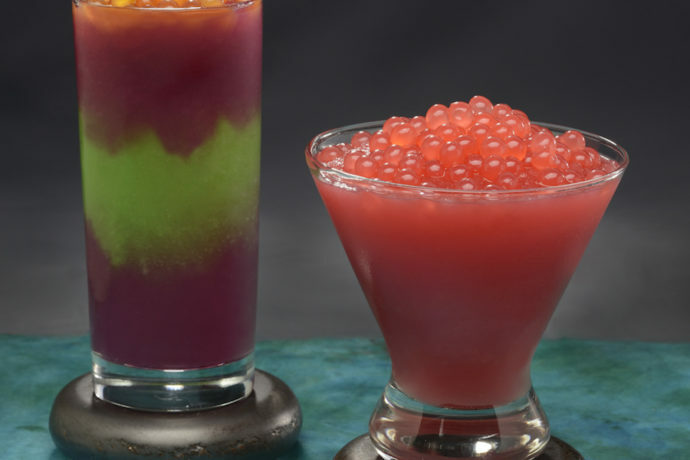 The Mo’ara Frozen Margarita is another frozen drink with Sauza Conmemorativo Añejo Tequila with strawberry and blood orange flavor topped with strawberry boba balls (also available in a souvenir mug). Both of the beers are also available on tap at Pongu Pongu. 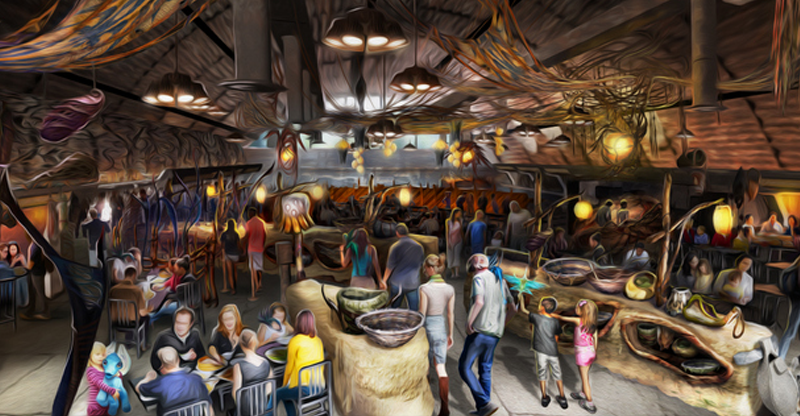 If you haven’t yet, check out all the pictures of the foods of Pandora in our last article, and see our last construction update of the new land ! Video from our last update below too. Subscribe to the website feed to stay informed of more Avatar news.